Health care always has been a hands-on industry; however, technology is rapidly changing the way practitioners provide care—and patients receive it. Tech solutions already have a track record of saving providers time and money, increasing revenue and patient volume, and improving patient outcomes. 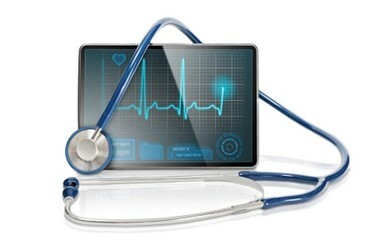 Perhaps the most important factor driving technology adoption in our industry today, though, is that patients want it. In fact, they’ve come to expect it. Indeed, this Accenture study found 71 percent of patients surveyed would take a class online to treat a medical condition, and 47 percent would rather engage in a virtual medical appointment than wait for in-person treatment. Thus, healthcare organizations would be wise to implement technology that enables them to provide this kind of care and thus, better serve their clients. While technology alone can’t improve patient satisfaction, “technology is an enabler toward a better patient experience and better patient engagement,” said Dr. Richard Milani, chief clinical transformation officer and practicing cardiologist at Louisiana’s Ochsner Health System. Or at least it can be—when implemented correctly, with the patient experience in mind. Thus, instead of focusing on the technology itself, first consider the needs that would drive patients to want a particular tool or software solution. What tasks do they need to complete—what emotional states do they need to reach—in order to get value from your system? Additionally, it’s never a good idea to make assumptions about a patient’s level of tech savviness. For example, there is a bias among providers leading them to believe that older patients are unwilling or unable to adapt to new technology. But, the data clearly suggests otherwise: according to this Pew study, 59 percent of adult patients seek healthcare information online, two out of three seniors use the internet regularly, and 42 percent own a smartphone. Instead of relying on unfounded beliefs about a particular patient population to inform your technology decisions, dig into the patient’s actual care journey—and how technology may (or may not) enhance it. To start, ask yourself if your patients will be able to accomplish their goals with the technology on their own—or if they’ll need the help of a caregiver. If it’s the latter, will the caregiver be available when the patient needs to access the product? Is training needed to access a specific technology solution? If so, how can you build it into the patient’s experience with your organization so it’s smooth—and, better yet, enjoyable? Motivators are often difficult to ascertain—and produce at scale—so we’ll focus on abilities and prompts in this article. In the above home exercise example, the team should first consider the patient’s ability to use a mobile device and then design strategies for overcoming any perceived obstacles to doing so. For example, instead of telling the patient to download the app and then sending that patient on his or her way to figure out the details at home, the provider may need to walk the patient through the process the first time. Then, the provider should make sure the patient knows how to get in touch should any questions come when going through the process at home. To generate buy-in, it’s important to communicate the benefits of a new behavior. To continue the home exercise program example, perhaps this particular application is able to demonstrate proper movement technique better than static instructions on paper; track progress and provide exercise reminders; and/or enable patients to securely contact their healthcare provider to ask questions in real-time. Whatever the benefits of adoption may be, make sure to share with your patients what’s in it for them. Gain a solid understanding of the technological resources available—and ensure that knowledge remains current. To make sure you’re always selecting the very best tech solution for your organization, it’s imperative that you stay up-to-date on the numerous tech resources available. That will require implementing a process for regularly researching, analyzing, and comparing what exists as well as how each option integrates (or doesn’t) with your current systems, processes, and patient experiences. Think beyond IT. To have a successful tech implementation, you’ve got to do more than set it and forget it. Instead, you must commit to managing the processes behind deploying an IT system. For larger organizations, that means including technical, clinical, financial, customer service, administrative, and operational teams in the deployment process. For smaller ones, providers and administrators must adopt each of these roles to ensure a successful rollout that positively impacts the entire company—and every step of the patient journey. Collect patient feedback. Many new tech initiatives fail because the organization doesn’t properly involve, educate, and seek feedback from clients. For that reason, periodic check-ups about system optimization and utilization are imperative, as they allow your organization to make small pivots well before you hit a major roadblock. In the last ten years alone, technology has revolutionized healthcare. And this is only the beginning. As healthcare continues to move toward a more patient-centric, value-based care paradigm, technology must do the same. Thus, when you develop your healthcare tech stack, it’s crucial to remember that the key interaction is still between patient and provider, not between software and hardware. Designing systems that thoughtfully account for the entirety of the patient journey, reinforce positive adoption behaviors, and employ best practices will ensure your technology is working for the patient experience, rather than against it. Russell Olsen is Vice President of Innovation and Product Management at WebPT. He focuses on improving the patient experience through technology and leads category design, user experience and product discovery. Prior to WebPT, his roles included Vice President of Product and Innovation at IBM Watson Health, where he led the development and launch of technology to help care managers improve the lives of chronically ill individuals. Additionally, he led teams at Phytel and MDdatacor, uncovering new ways to look at data to help care teams improve the quality of healthcare. Olsen graduated from Brigham Young University with a degree in electronics and information technology. He also received a certificate in Disruptive Strategy from Harvard Business School in 2017.